The Howland Chamber Music Circle hosts ocassional free Pop-Up community concerts. all members of the community to enjoy classical music in a less formal atmosphere. The Pop-Up concerts are supported by the Clara Lou Gould Fund for the Arts. To find out about future concerts, join our mailing list, or like our Facebook page. 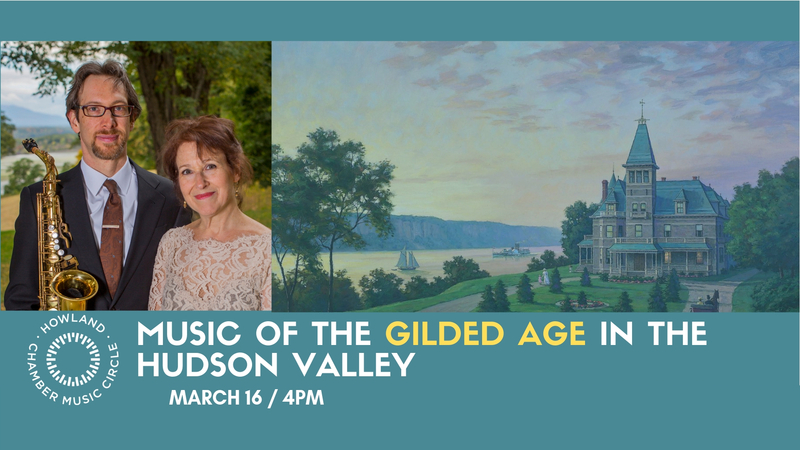 this program features "Music of the Gilded Age in the Hudson Valley." FREE Admission and meet-the-artists reception after the concert. During the Gilded Age (1860-1900) people wanted the best from Europe, but with an American sensibilty. American composers Louis Moreau Gottschalk and Ulysses J. Alsdorf. Dr. Christopher Brellochs, where he researches the music and stories of the Gilded Age.